Imogen is a runaway heiress, an orphan, a cook, and a cheat.Jule is a fighter, a social chameleon, and an athlete. An intense friendship. A disappearance. A murder, or maybe two. A bad romance, or maybe three.Blunt objects, disguises, blood, and chocolate. The American dream, superheroes, spies, and villains. A girl who refuses to give people what they want from her.A girl who refuses to be the person she once was. I LOVED E. Lockart’s We Were Liars. It’s been FIVE YEARS since I read the book and I AM STILL SHOCKED about the ending because it was twenty different kinds of insane and I LOVED IT. Which is why I was SO excited to see Genuine Fraud sitting in some surprise bookmail from Bloomsbury India – it sounded (from all the raving reviews I’d read) that this was another masterpiece and I dove in as soon as I could. Genuine Fraud IS TOLD IN REVERSE. It was a disorienting experience that somehow managed to work PERFECTLY for this book, keeping the mystery alive and keeping the reader guessing. It pieced things together in REVERSE, talking about a murder (or two) and a social chameleon. I loved seeing the unravelling of Jule and Imogen and the STRUCTURE WAS THE HIGHLIGHT OF THIS BOOK. I loved the plot of this book. I probably wouldn’t have loved it as much if it wasn’t structured the way it was, but everything managed to work in the most unconventional way possible. I loved trying to understand Jule and predicting her next move (and failing.) I did spend most of this book ANTICIPATING a jaw dropping end like We Were Liars had, because this is one of the books that NEEDS one of those endings. And yet, the unfinished, vague and NORMAL note on which this book ended was the ONE thing I didn’t like about it all. I guess I WAS hoping for a deeper motivation / reason for everything happening but after over 250 pages of sitting at the edge of my seat, unsure of what came next (or before, depending on how you look at it) the actual ending was SUCH A LET DOWN. The more I found out about the characters, as I went back in time with E. Lockhart piecing this book together in reverse, I STILL feel like I don’t know either of the two main characters. I didn’t fall in love with either of them, but I do like them. I admire them, but I don’t know them. Thinking about Jule, Imogen (or even Forrest, Brooke and Patti) leave me very confused. This book is definitely one of the better mysteries I’ve read in a while and you should DEFINITELY pick it up. 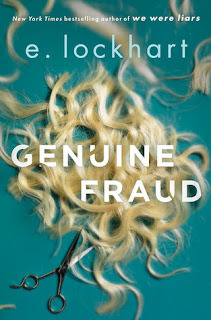 Genuine Fraud is about an heiress and a social chameleon told in REVERSE and there is murder and romance and WHAT MORE ARE YOU LOOKING FOR, REALLY? I only wished the ending was done better. 4 stars. 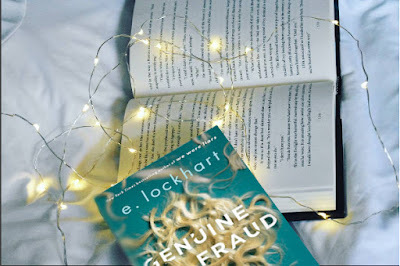 E. Lockhart is the author of nine novels including We Were Liars, a New York Times bestseller and Zoella Book Club pick; The Disreputable History of Frankie Landau-Banks, a Michael l. Printz award honor book, a finalist for the national book award and winner of the Cybils award for best young adult novel; Fly on the Wall, Dramarama and the Ruby Oliver Quartet: The Boyfriend List, The Boy Book, The Treasure Map of Boys and Real Live Boyfriends. She co-authored how to be bad with Lauren Myracle and Sarah Mlynowski. Have you read any of E. Lockhart's books? What do you think of them? 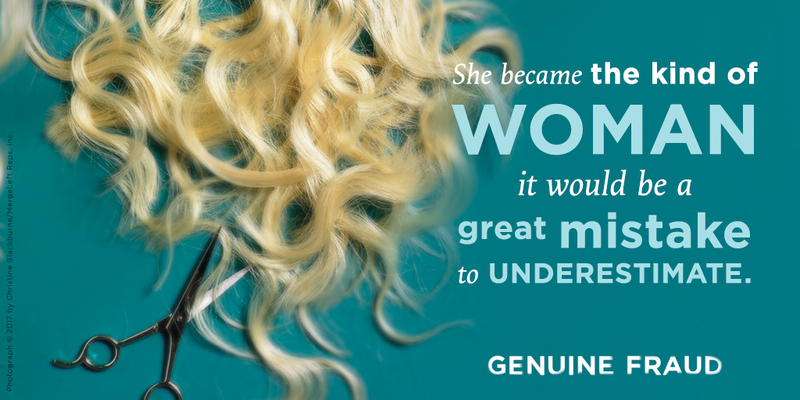 Have you had the chance to dive into Genuine Fraud? What do you think of it?